Found your blog and although I am a medical professional at a major hospital system and work with orthopedic surgeons I am trying to get as much up to date advice about my problems with Hallux Rigidus before I make a decision to go forward with surgery. Although I am 60 years old I am a very active individual. I was a Quarterback at a major university and suffered alot of turf toe.. I have realtively low archs and long toes. I have continued with basketball, racketball, running etc. over all of these years. I was diagnosed with Hallux rigidus over 15-20 years ago. It never bothered me or affected my activities until a few years ago. It is bilateral but quite prominent on the left foot. I have seen two othropedic surgeons and a DPM (podiatrist) about 2 years ago where they took x-rays and sent me to a sports medicine PT to have carbon fiber insoles prepared in which I have been using the last 2 years with fairly good results. I truly believe i will need to do something soon but I am so unsure and not wanting arthodesis due to recovery time and the unknown on how I will be able to be as active with a fused toe. I have read some reports that they have been actually trying arthroscopy for decompression to lessen down time. My question on who to go to and does it make any sense in considering decompression with grade 3-4? I know implants have not worked out well. any other ideas or insights would be helpful. Hey Bob, If you beat Cal (where I went) then I am not sure if I should be giving you advice, but I have not time to check the records. I share your concerns with fusion. 10 degrees is still 10 degrees of motion, and 0 is total immobility of that joint. I have no problem when the spurs begin to create problems to have those removed. This is called a Cheilectomy or arthroplasty (joint remodeling). At times, surgeons just do too much remodeling and cause the arthritic joint to move too much. So, the surgeon needs to have done some of these to know how much bone is safe to remove. Cheilectomies have a bad name since, for surgeons, it is not "to cut is to cure". Cheilectomies work wonders on many patients, but can have a long rehab period of up to two years. This is normally due to excessive bone swelling post surgery and inadequate bone removal or excessive bone removal. They can take a lot of post operative thought in the process. After surgery, the orthotics have to be changed, and the foot may have more pain!! So, If I was in your shoes, I would find a surgeon comfortable doing Cheilectomies, some knowledge on who they work for, and no rush to do a fusion, since your joint is slowly and naturally fusing itself. The body can adapt quite well to a gradual process, but not so easily to a sudden change. This change is felt throughout the body and probably all of civilization. And, after I found that surgeon, I would have the bone removed that is causing the problem, and attempt my 3 to 24 month rehab, whatever it takes. I have never seen an active person do active weight bearing sports after surgeon, although you could be the next Lance Armstrong! Breast Cancer Awareness: These Statistics Will Save Many Lives!!! I recently developed another infographic that could be a good fit for your site. I just wanted to reach out and share. It highlights and illustrates the numbers behind breast cancer in order raise awareness. This is an article from Podiatry Management Magazine online service. Thank you. Physicians in the United States suffer from more burnout than other workers in the United States, new research shows. A national survey of more than 7,000 U.S. physicians reveals that close to one half report having at least one symptom of burnout. "The fact that almost 1 in 2 U.S. physicians has symptoms of burnout implies that the origins of this problem are rooted in the environment and care delivery system rather than in the personal characteristics of a few susceptible individuals. "Policy makers and health care organizations must address the problem of physician burnout for the sake of physicians and their patients," the authors, led by Tait D. Shanafelt, MD, Mayo Clinic, Rochester, Minnesota, write. The survey findings were published online August 20 in the Archives of Internal Medicine. I have definitely felt the burnout of most physicians as you try day after day to squeeze in one more patient, and then another. The work demands are excessive and the paperwork overwhelming. Add if you are trying to do a decent job in helping people, more time restraints. How do physicians fight burnout? Most limit their practices to the highest paying aspects: surgery, testing, work compensation cases, legal cases, various procedures. But, what then happens to the common sense care, the KISS care, the hand holding and sage advice time? I hope this next generation of physicians, and all health care providers, will figure it out. I find I need to eat well, limit my week night outings, stay organized, not multi-task, exercise regularly, and re-invent who I am as a doctor every 3 years or so. And, not take myself or the bureaucratic chaos I am in daily too seriously. This blog has been one way to re-invent myself. Before the blog, I was busy raising my family. Before that, there was all the excitement of starting a practice. Even though there is a lot of work organizing a blog, it is not the amount of work that tends to cause burnout in any job, it is the feeling of hopelessness over getting the work done, or the feeling of lack of respect, or the feelings of failure when things do not go well (normal part of the art of medicine). This blog gives me none of that and so has become a very healthy part of my practice. It adds health to my practice, making me feel that I am making a difference. Even though a complete tear of the Achilles Tendon is typically managed by surgical repair, it can be managed well with below knee casting and physical therapy. The literature and my experience point to equal successes and failures with both techniques. Re- rupture rates are slightly higher with conservative treatment, but do exist with surgery. The other complications of serious note all involve surgical problems--excessive scarring, post op infections, and wound healing issues. We always give my patients both options, and the majority go for surgery. Given a good rehabilitation with physical therapy, both types of patients are at the same point one year after injury. All of my patients who have conservative care are at risk for re-rupture in the 45 days following cast removal. If re- rupture occurs, surgery is normally chosen to fix it. With modern day physical therapy, my patients get to 110% strength of their good side. The fastest patient to begin running post rupture with conservative treatment was at 6 and 1/2 months post injury. Since this technique needs the full teamwork between physician, patient, and therapist, there are only certain situations that this perfect storm will gel. I am a 38 year old adjunct professor of occupational therapy/integrative health at and I recently sustained a right Achilles Tendon Rupture on the evening of August 13th. I went to the ER where my right foot was placed in a posterior cast and was told to see a doctor. I was able to see the doctor on August 15th where I was told that he recommends surgery for all of his Achilles Tendon rupture patients. He was not interested in supporting me through a nonoperative treatment approach. No ultrasound or MRI imaging was ordered. After having done an extensive literature search on the topic so far and the fact that I have worked in physical rehabilitation for over 20 years I feel comfortable with choosing the nonoperative approach to my Achilles rupture treatment. I came across an abstract of your article titled Achilles tendon rupture. A protocol for conservative management and I was hoping you might share the protocol with me. I currently do not have a doctor following me and am willing to to pay out of pocket for a physical therapist that would be interested and open to supporting me through an Accelerated Functional Rehabilitation and/or the protocol you recommend. Do you feel this is an appropriate path to take? Thank you so much for your prompt and thorough reply! I have a particularly unstable lower back and I have found the cast to be quite cumbersome. I ruptured a disc when I had an ACL reconstruction in 2000 and I have trepidations about potentially doing the same thing in this situation. Would a cast boot system such as the VacoCast (http://www.vacocast.com/pro/) set at maximum degrees of plantar flexion be appropriate for me to use now with the continued non-weight bearing status for 6 weeks as you mention? It seems the VacoCast would put a much less load on my spine over these next several weeks. Sarah, Could not get a stong feel from their website pro or con removable vs permanent cast. Normally, patients must be at 15 to 25 degrees of ankle plantarflexion in the first 2 to 4 weeks. This says it only goes to -10. Could you check with them on Monday if it can be adjusted but to -20 at least. Thanks. Rich This is important to bring the ends of the tear into as close proximity as possible!!! After looking at another non-op study protocol it appears that they put a 2cm heal lift in the VACO cast boot system and gradually reduced the height of the heal lift (1.5cm then 1cm) every 2 weeks after the 6 week mark. Would this be satisfactory to achieve the 15-20 degrees of plantar flexion? I will make sure there is noooo tension on the Achilles. Thank you! Thank you so much for your helpful blog. I have been diagnosed with sesamoiditis in both feet. The pain in my left foot is much worse than my right but the MRI shows significantly more swelling in the right foot than the left. Does that make sense to you? Is it possible that the pain is being caused by something other than the sesamoiditis? I also had a question about taping. Is taping necessary if bending the toe does not cause pain? Flexing my toe does not seemingly increase my pain but I'm wondering if I should tape anyway. Finally, I had an MRI but my doctor was unable to determine whether I had a fracture or not. Should I be concerned that even with the MRI he cannot tell? Should I look for someone else to treat me condition? If so, do you have any recommendations in the Boston area? The diagnosis of Sesamoidits is much like Shin Splints, a catch all word or phrase that could mean alot of things. X-rays are historically inaccurate, missing subtle injuries like stress fractures, that you do not want to miss. So, I relie on MRI imaging more than anything else to show bone, ligament, or tendon abnormalities. Since you had an MRI, and there is still a question of fracture or not, it is probably just the interpretation. Some docs use the MRI to look for a visible crack, when a stress fracture will show none. The question I need to know is whether there is any changes in either Sesamoid on T2 imaging where the Sesamoid should be black but it appears white. That is a stress fracture and should be treated accordingly. So, it is definitely possible that your pain can be something more than just inflammed sesamoiditis, since I rarely see sesamoiditis cause swelling. You need to get a copy of the official MRI report, but I would get a CD of the actual images. Try to find the ones that look like the images from my blog and see what you can gather from this. I will be happy to look at the CD or any images you send. In regards to swelling, deep swelling that you can not see can be much more painful than superficial swelling. It is why patients can come in with enormous ankle swelling after a sprain and say that they are still running on it. And, why a drop of swelling due to an ingrown toenail can bring patients to almost tears. Taping is a possible help for some activities. You need to practice taping for various activities about 10 times to get good at it, and see if you can tell a difference. For your injury taping is equivalent to an ankle brace post ankle sprain. I have used bone stimulators to help heal fractures that are notorious for slow healing for the last 25 plus years. The early versions had to be embedded initially under your skin with a minor surgery. But then happily came the external ones which could be used as long as you had a cast on (they were embedded into the cast). These ran for 24/7 sending an electrical impulse across the fracture. If you know that in electricity like dating that opposites attract, these bone stims placed a negative charge on 1/2 of the fracture, and a positive charge on the other 1/2. These units still exist, but send the current from a patch into the skin. For the last 10 years or so, I have used the Exogen unit from Smith and Nephew. It actually uses ultrasound to merely increase circulation to the bone directly. You apply a patch connected to some wires to your skin and twice daily for 20 minutes while you multitask stimulate your bone. I use this on many types of fractures, but particularly the 3 most stubborn fractures in the foot: Sesamoid, Jones Fifth Metatarsal, and Navicular. To drive home the importance of bone stimulators, there is the first paragraph from an email I received today. I am writing to first update you to say my sesamoid is now healed!!! Actually as of a few months after my April 2011 email below to you :)) After being quite upset with my progress the Doctor finally recommended we try to get me a bone growth stimulator. My insurance wouldn't pay for it ($3500) but FORTUNATELY the company that had them offered me one for free based on my situation. IT WAS A MIRACLE! To this day I am so thankful for that that company and that device. After just a few days of use I noticed "something" different. After two weeks it felt better and by May/June I was surfing again. I still remained ginger with it for the next several months. When walking, popping up on my board or doing yoga related sequences where flexion is called for. The tenderness remained for a throughout 2011 but very light which I think was simply from not using the tendon/muscles for so long. So by winter 2011/12 which was well over a year from the injury, I was finally doing most things I never thought I'd be able to do again! I highly recommend the bone growth stimulator. I also thank you so much for your words of encouragement along my healing progess. Without you I may have lost it. Less than 5% of us are born with an extra arch bone which can give us fits at times. This extra bone is right where the most important tendon that supports the arch attaches, so it can cause pain, arch collapse, or just an obnoxious bump. The tendon is called the posterior tibial tendon. This accessory navicular is commonly called Os Navicularis, Os Tibial Externum, or The Second Ankle Bone. I have many patients who come for second opinions when they become painful, and someone justifiably wants to remove it. Some do need to be removed, but many can become asymptomatic thus avoiding the surgery. Like any injury, there are phases the patients must go through to get well. Patients can be in 1 or more phases at a time. But, it is important to recognize what phase you are in, so you do not get too frustrated. The phaseYs of injury rehabilitation are: Immobilization/Anti-Inflammatory Phase, Re-Strengthening Phase, and Return To Activity Phase. Each phase should be individually orchestrated for that patient. Normally, you are 80% better when you begin the Return To Activity Phase. You are 100% better when you are back doing everything you want. In this email from Samantha, the doctor did the right things-- arch supports for the Immobilzation Phase, and exercises to begin the Re-Strengthening Phase. Thank you for posting up helpful tips about foot and ankle problems. 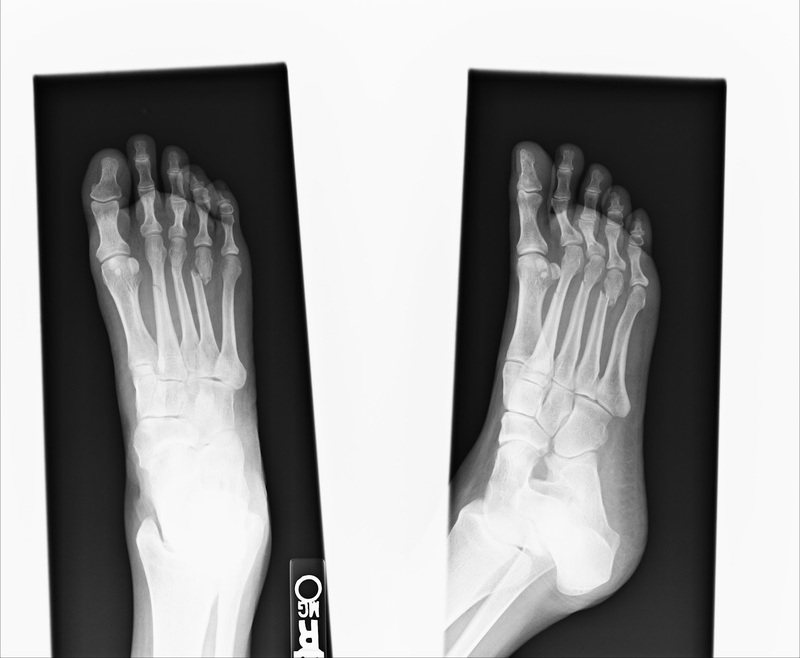 Recently I have been for a consultation with an orthopedic surgeon ( which cost me so much), and he has diagnosed me with Accessory Navicular Syndrome ( attached herewith is an X-Ray of my foot), my left foot collapses inwards to an extreme and I have extremely flat feet. He has advised me to go for physio therapy to strengthen the posterior tibial tendon, as well as to constantly wear arch supports. My problem is here, the reason why the pain has flared up is because I have recently picked up the sport of running, which I really like to do. However, sometimes when I run, it always reaches a point where there is a sharp pain at that area and I have to stop. It then goes away after a while, but then comes back again when I start running. I am determined to not have to give up running. I have followed his advice and got special insoles with arch support for my running shoes (https://secure.yoursole.com/us/footbeds/thin-sport/ -these are the ones particularly), however due to the insoles I keep getting blisters on my heels which puts me in a different painful situation all together. I always feel very frustrated with my feet, because they restrict me in so many different ways. The insoles do help to a certain extent, but the pain is still there. I fear I may not be wearing the proper type. I was thinking of getting custom running shoes, but I am not too sure what is the right type and what properties should the shoe have. Was hoping you could give me some advice on this, or what should the proper insole should be and how can I over come the blisters? I have been also wanting to go for physio therapy to strengthen the tendon, however it is just so costly here in my country that I keep putting off. Do you have any tips on how I can strengthen it for my certain condition? Thank you so much in advance for your help Dr. Blake, I really hope to hear from you soon. Thank you so very much for your advice. You are awesome! As soon as I saw your post I went out to get Rocktape and followed your post on arch taping, we don't have body glide here in Malaysia,so I looked for alternatives online and tried Vaseline, which worked really good, I also decided to purchase anti-blistering socks.I also heated up my soles for a custom fit.And the results, my pain was reduced tremendously during my run today, to a point it was almost non existent ,but of course it was still a lil there =) In fact, I don't seem to have that pain at the bone area I usually feel after running. I really can't thank you enough.But thank you so much for your advice. My next step will be to check out the Brooks shoes or a custom shoe. Each of these case histories is packed with truths that I call The Golden Rules of Foot. Golden Rule of Foot: Ice for 2 Weeks longer than you think you need to ice. Hallux Limitus is a stiffening of the big toe joint. We normally need 60 degrees of upward motion in that joint to move properly for day to day activity. Various sporting activities require more motion than 60. By definition, Hallux Limitus is less than 60 degrees, and Hallux Rigidus less than 30 degrees. When should you treat this problem? Always if it gives you pain. Will Hallux Limitus always become a surgical problem? Definitely No! Years I have treated patients with this problem and only a few require surgery any given year, emphasis on a few unluckly ones. Some patients put up with more pain, some patients don't need to wear heels, yet many patients with severe Hallux Limitus/Rigidus do no have pain that is unmanageable. I believe it is best to treat all of these as a sore joint, get the soreness calmed down, and then gradually develop a program around keeping the joint in the 0 to 2 pain range. This brings us to an email via my blog of a patient complaining of joint stiffness who then underwent the basic of surgeries for this problem called a joint cleanout or arthroplasty or cheilectomy. These joint cleanouts, much like knee arthroscopies, can last forever in alleviating pain, or not work at all. Joint cleanouts need a year to two to heal since the joint surfaces are scraped and cartilage involved. Any time you have a surgery that involves cartilage and the potential for slow healing, be ready for a slow going. MRIs are the best way at track the healing process of cartilage, but it is best to wait 3-6 months between MRIs. Golden Rule of Foot: The disability of the patient must match the disability of the first 6 months post surgery to make it a reasonable option. 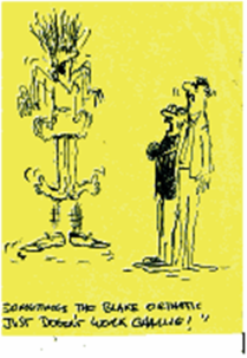 Hi dr blake, been reading your blog for quite some time, especially the HR posts. Used it to make what I thought was a good decision to have surgery March 7th of this year (she is 5 months post op at the time of the email). I had been told i had HR 2 years ago, after living with what i thought was bunions for many years. went to the podiatrist because of pain under my 3 and 4th toes, and much stiffness in the big toe. I love to hike and that was becoming increasingly difficult. even biking was painful because my toes would go numb. I work retail, and have been wearing dansko shoes for several years, had a carbon plate made to put in some other shoes, also wore "rocking" sneakers - all of which helped a little. Anyway, decided i wanted to try and make life easier (ha!) so went for surgery. I had a chilectomy and first mtp joint (big toe joint) shortening. All seemed to heal very slowly - i was told not to go for physical therapy by the podiatrist, but after several months I could not walk properly and thought pt might help. I have a great pt who is very specialised in feet (wish i had found her before the surgery - she would have told me not to bother). she fixed the adhesion and helped me learn to walk again with the aid of hiking poles. I am back in my dansko shoes with a limp but am now having pain in my big toe joint where i never had it before. I am despairing now of being able to walk properly without pain. All the podiatrist could suggest was surgery again to fuse the joint completely - would that be a solution or should i leave well alone for another 12 months or so? I still have quite a bit of swelling -another thing that my pt works on with a laser and massage. I do use ice and elevation after a day at work, but am pretty depressed about the outcome. I know that the rest of my body is affected from years of walking incorrectly, my ankles are pretty rigid, my knees are out of alignment and my hips and back suffer because of my odd walking habit. I am only 54 years old, played tennis and walked several miles a day until last year. My other foot is going in the same general direction, so am trying to get a sense of what i can do to help avoid this situation all over again! would very much appreciate any thoughts on the situation. I dont take any pain relievers, ice helps when the swelling is bad. Often it feels as if there is a pin sticking under my big toe! this sensation is actually rather new. I try to be very concious of how i am walking, I do glute clenches which make me walk more evenly and "spread" my toes and try to keep my foot even as i put it down (sorry if that isnt too clear - my pt calls it "squishing the bug under my joint!). I also often have a kinesio tape "splint" and various tapings which are somewhat helpful. Discomfort is only present when i am walking, and occasionally when i bike (i have to be careful where i place my foot on the pedal). My pt at first thought that the heads of the pins from the joint shortening were perhaps in the joint space on looking at my followup xrays, she sent me back to the podiatrist after we pondered that. He took more xrays and i looked at them with him, it didnt look like that but its pretty darn close! He told me that as my rom was bad before, what i have now was as good as it would get. On relaying that to the pt, we did change tactics a little and stopped working on rom as much, just concentrating on my walking more "normally". I am so very appreciative of your taking the time to read my email! Pain is from putting pressure on it, on the upward motion doing rom there is discomfort but it's doable. My walking is such a mess because I can't toe off. I will do ice and keep on walking, I'm grateful for the encouragement. Here are MRI images of a severe ankle injury following cartilage loss. Here I discuss X-rays of my patient Joseph with a 5th Metatarsal Base Fracture. Their serious padding along with Stable roll makes them ideal for forefoot, heel, and shock absorption problems. This will be a fun year, although not without it's problems. This is purely educational, yet my personal biases will be apparent. I will take one patient a day from my practice, change their names for privacy, and discuss some aspect of their situation. Through them, we will learn some truth, some treatment plan, some story. I have been in practice for 31 years, have taught hundreds of podiatrists, tried and failed to write a book twice, and getting worn out by the business of medicine. Yet, I started my podiatry blog two plus years ago, and my readers have re-energized me. I see I must try to get out information that is being lost. When I say I practice the KISS (Keep It Simple Stupid) principle, most students run the other way. The year will not take a year, but it will have 365 patients involved. Since, one day will their day, and no other, I will be adding to their experiences when appropriate until the book is complete. This book will get published in written form, but not until I am complete, so it will be a weekly addition to my blog. I went into the field of podiatry because of it's exceptional treatment of athletes. The 1970's were the early days of sports medicine. I was able to study under Dr James Garrick, orthopedic surgeon, one of the founders of the sports medicine field. The truths that he taught me are spread throughout this text. My number one bias that will resound in these pages is what type of treatment is best for the patient at that time. Sounds simple, but trying to deliver care that is the best for every patient, every day, with sometimes little information to go on, can be very tough to do. But, every day this is what must be attempted. I will be emphasizing the truths I have found in medicine. I call them The Golden Rules of Foot. I say them over and over, to patient after patient, in situation after situation. I rarely find exceptions to these, so they are more than just generalizations. An example? Golden Rule of Foot: Begin to re-strengthen your injury almost as soon as the injury takes place. I am a healthy, active, physically fit 67 year old woman, who until 6 months ago walked for 5-10 miles a day, until I started having problems with my feet. It has been diagnosed by two podiatrists here in Santa Cruz with Stage 3 Hallux Rigidus (both feet), and both have recommended surgery. I have tried inserts, however I am unable to walk more than 10 minutes with shoes that are enclosed because of the pain on the top of my big toes, due I assume to the bone spurs. I have found walking in sandals, or on the beach barefoot, allows for some pain free mobility. However, even this limited walking causes my toes to painfully freeze up due to excruciating pain. It feels the joint gets out of alignment. I can stop, massage my foot, and eventually will be able to walk well enough to get back home. This is seriously impacting the quality of my life. Living in Santa Cruz, I can come up to San Francisco to see you. Do you think you can help me avoid surgery? Caren, I would be happy to help you. No guarantees, but it appears you have painful joints and right now need to create a painfree environment. Please read all my information on Hallux Rigidus. I would spend the next 2 months in a removable cast for one foot to help calm it down, then switch to the other side. You have had Stage 3 HR for probably 3 to 5 years, so why did it go from unknown to needing surgery over night. I would spend the next year getting them calmed down, and when you are out of pain, then decide if you want surgery. Rich I am out of the office until 8/27. Aloha!! Here is another video emphasizing lateral midfoot (cuboid/5th metatarsal base) landing in running and walking as a possibly gentler place for impact. I have seen many very efficient and effortless walking and running patterns. Definitely, dominant heel strikers or forefoot strikers can seem to have more problems. It seems I try to teach runners and walkers with instability problems or chronic pain problems to land more on their midfoot (over the cuboid/fifth metatarsal base). The video below emphasizes this landing position and it is a possible solution for walkers and runners to obtain a less stressful gait pattern. Hi here is an Xray of my foot from breaking it last Sunday. The doctor said it would heal in a boot. Without need for surgery. I have a hard time understanding how it could heal right after looking at my xrays. Thank you for your answer. And by deformed I would assume, painful too. I'm not sure what to do next. I have a limited 10k max insurance policy through work. I had the feeling that was the reason he put me in the boot. Thanks again for your answer and concern. I have found a doctor through a friend at a negotiated rate of $1500 or 2000. So I am going to self pay. God Bless you for your willingness to answer total strangers in Florida. I grow rare plants that can grow inside your office and would like to send you one if you want, you will have to plant it in a container? I am so glad that I found this site! I have been diagnosed with Hallux Limitus - very mild with a small spur just beginning to develop on the top of the joint. I didn't even notice stiffness in the joint until the dr. pointed it out to me. Dr Blake's comment: Hallux Limitus means limitation of joint motion across the big toe joint. I find that the average patient understands when there is pain in the joint, but are not aware of the subtle reductions in lose of motion. Hallux Limitus is less than 60 degrees of motion, Hallux Rigidus less than 30 degrees. Normal Big Toe Joint Dorsiflexion is 80 to 90 degrees. Walking needs approximately 60 degrees, so limitus is less than this amount. I simply noticed the bump when I tried on a pair of heeled sandals with a strap across the bump. So I went to have it checked out and was diagnosed. The doctor suggested surgery "at some point, but not yet." Dr Blake's comment: Golden Rule of Foot: The disability from surgery should be equal to the disability of the problem before surgery. What does that really mean? You must be quite limited in your life to undergo an elective surgery that hopefully temporarily is quite restrictive to your life. I definitely do not see that in your life. And I do not buy into preventative surgery, surgery to prevent the joint from getting worse, since all surgeries weaken joints, and have the potential of permanent disability via complications. Listen to your body. When the treatment option is a surprise to you, it is probably not right at that time. I was pretty disappointed with the suggestion because it seemed so vague, but that's for another day. My real question is this: I've read that Platelet-Rich Plasma injections can help with certain arthritic joints and have been replacing cortisone injections recently. . . is there any evidence that PRP could work for Hallux Limitus? Dr Blake's comment: I have no experience with PRP, but it makes sense in situations of chronic tears ligaments or tendons. It may be important with arthritic joints, but I am just not convinced yet. At this point, I'd be happy with just maintaining my current condition and not allowing it to progress or worsen. I currently only have pain when wearing shoes that touch the bump, and occasional aching/stiffness, but no real pain. Thanks for any info you could give me on PRP in the big toe. I ran across your blog, particularly your entry from September 2010 to the patient with a sesamoid fracture, while I was researching removal of a sesamoid. I am hoping you can provide me with sound advice regarding my current situation. For your reference, I am active duty military, in my mid-30s and am required to work out regularly and have been limited in my ability to do so since all this began. Because this has been going on for over 7 years with little relief, I have pain just about any time I walk or become active. I realize the history I am about to give you is long but I feel that unless you have all the information you may not be able to answer my questions. I have had pain in my foot, specifically where the big toe meets the foot, for about 7 years now. It started when I fell down some stairs. I jammed my big toe and shins into the step as I fell forward. The good news was that I stopped but the bad news was that I immediately developed pain in the joint where the big toe meets the foot. Initially I figured I sprained it and didn't do anything aside from minimize activity. After a couple months with no change I went to the doctor and they did an x-ray, which they said was negative for fractures. I was already seeing a podiatrist for pain at the underside of my foot where the second toe meets the foot. This initial problem gradually got worse and would swell to the point where my second toe would shift to the side, away from the big toe. After I was told the x-ray on the big toe was negative I brought it up to the podiatrist and they began working both issues. They tried to find the source of the pain in each joint (both the big toe and the one next to it) and apparently all tests were negative including a bone scan and x-rays. Steroid shots into the second toe joint did help with pain and swelling, but both would come back with a vengeance after approximately three months. They also tried inserts which seemed to help a little bit but again didn't seem to totally fix the problem. Specifically, any time I started to resume activity the pain and swelling would return immediately. Push-ups seemed to make it worse. After several years' worth of bad diagnoses and unsuccessful attempts to alleviate the pain in both joints, the doctor planned an exploratory surgery to explore the joint that had the original problem. While they couldn't explain why the big toe joint would be fine prior to the fall then suddenly become painful afterwards, they said there was a bunion on x-ray and that if they did a bunionectomy while they did the exploratory surgery they should be able to address and correct both issues. Dr Blake's comment: Pain from impact in the big toe joint is a stress fracture or sprain until proven otherwise. Since the bone scan was negative, and health plan not cover MRI, the diagnosis now has to be a sprain. During the exploratory surgery (August 2008) the doctor discovered dead synovial tissue and a small bone fragment in the second toe joint. He removed the bone and cleared out the dead tissue. He also shaved down the side of the first metatarsal for the bunionectomy. Dr Blake's comment: The first surgery on this big toe joint did nothing to help or identify the source of your pain. Did the surgeon say anything after looking into the joint about what you injured? We would expect from this description that the surgery did not help you in the least. Almost immediately upon resumption of activity following the surgery (to include simple walking) I noticed two things: 1) the pain in the second joint appeared to be gone and 2) the pain in the big toe joint was the exact same as it was prior to surgery. I told my doctor and he told me to give it time to finish healing. Over the course of the next several years, I was sent from podiatrist to podiatrist to figure out why it was still painful. They tried various forms of physical therapy, to include steroid infusions (with the electrolysis pads) and laser therapy. Nothing helped. I was still using inserts in my shoes and icing it regularly. After my doctor exhausted all his expertise, he referred me to yet another podiatrist. That doctor (at Walter Reed Medical Center) suspected it was torn cartilage on the head of the bone and said my case was almost exactly the same as two previous patients, who had the same mechanism of injury and symptoms. Unfortunately I came up on orders to move and my doctor didn't want to stop it so she told me to proceed with the move and have my next podiatrist do the surgery. Dr Blake's comment: The torn cartilage theory does not hold water due to a negative bone scan. However, I have seen many bone scans where the images of the foot were too small to make an accurate read. Images from bone scans on the foot can be so small that they are read as negative when the dye does not seem to highlight any one particular area. This is a false negative. And can be devastating since it misses the true reason for the pain. On a bone scan I try to remember to ask for blow up views of any suspicious area to delineate the exact location of the increase dye uptake. Increase dye uptake into bone means that there is a healing process going on. Golden Rule of Foot: As long as you have a pulse, your bone, or cartilage, if injured will try to heal and the bone scan will be positive. I arrived to my next duty station and saw yet another podiatrist. This podiatrist said they needed to re-do the bunionectomy, since the original area that was shaved had now calcified and was jagged. She also said she wanted to cut the bone and screw it back together to lessen the angle. Apparently the angle of the metatarsal was higher than normal so she felt this was also contributing to the problem. She said she would explore the head of the bone while doing the other portion of the surgery. Dr Blake's comment: Bunions do not cause this type of pain. So, correction of the bunion surgically will not help your problem. If the bone scan is negative, only a pre-operative MRI scan may show the source of the inflammation in this case. I am hoping as the story unfolds that the surgeon it not just focus on fixing the bunion, but looking for the source of pain. Which is truly the meaning of exploratory foot surgery--looking for the source of the painful problem. According to this doctor the second surgery went well (done in September 2011). She said the cartilage looked fine. X-rays showed the bone was healing very quickly and within a couple months the bone was almost completely healed. Dr Blake's comment: So the cartilage was fine. Why do you hurt?!!? Again, the second surgery, probably done in vain, did not address your problem. I am sorry. After I got the all-clear, I began exercising again. Almost immediately I noticed it started hurting again. I figured since there was still some swelling it was just post-op recovery and would take a while. However, I found that if I did mountain climbers (an exercise where you're in a push-up position and hop from foot to foot) or anything that required my big toe to bend and hold my body weight I could barely walk afterwards. Dr Blake's comment: 2 surgeries to work on the bunion and explore the joint with no relief in symptoms, what does this mean? Negative X-rays and bone scan can be added to the story of investigation. Everything points to soft tissue injury. I love to give diagnostic shots of long acting local anesthetic into joints before I recommend joint exploration. The local anesthetic lasts for 5 hours and can tell us if the pain is coming from the joint or from outside the joint. It can help avoid needless surgeries like the two you had from very dedicated doctors. When I returned from some training I went back to my podiatrist, as I figured she'd tell me to slow down and that this was normal. Her response was that it was not normal and she was concerned. She said that based on what I was telling her she suspected it was sesamoiditis. This was the first time I'd ever heard the term and none of my previous doctors had ever mentioned it. She ordered a bone scan that turned out to be positive. She injected dexamethasone into the area and within a couple days my foot was completely pain free--for the first time in years. Dr Blake's comment: Okay, now we have a doctor thinking good thoughts and probably out of the box. She tries to identify the source of pain with another bone scan (probably since the first was not around), and a short acting cortisone with local anesthetic shot. By your description, I am not sure if the shot was in the joint (where the sesamoid lies) or outside the joint. But, we are making progress. The repeat bone scan being positive, with the first one being negative, shows that the first one must have been read wrong, perhaps since blowups were not ordered. I may want you to order both sets. I was so excited I even tried a little jogging, and it didn't hurt! However, within three weeks the pain came back. My doctor said the injection would only have lasted for a month, so given that it lasted as long as it did was a good sign. She did another injection (mind you, I was wearing shoe inserts and limiting exercise again), and a third injection a month after that with each one lasting less time than the previous one. She said that based on the response and bone scan, she was confident it was sesamoiditis but was out of treatment options for me. Finally, she referred me to another podiatrist for yet another opinion. Dr Blake's comment: I love that doctor. Very thoughtful, concerned, and willing to refer. She had made some progress for the first time in your saga. I hope she felt good about that. She should. Unfortunately, doctors tend to focus on the negatives. She probably felt she let you down, but she gave us hope. Hope that a solution could be found. I thank her! I hope you did. This new podiatrist has told me that my foot is the "perfect storm" to end up where it is. I have high arches (hence the previous doctor's attempt to lower the metatarsal) yet I severely overpronate (due to physiology of my ankles, which is not what it normally should be). He said that between those two things I put an excessive amount of stress on the sesamoids and this is probably a large part of the reason it won't heal. He ordered an MRI, since apparently the bone scan isn't definitive with the still-healing metatarsal in it (taken about 6 months post-op). Dr Blake's comment: Hooray, finally an MRI. I also like this doctor. Pain is the first metatarsal pain causing disability should have an MRI to see what is trying to heal. The MRI shows what tissue is normal, and what is inflamed. The doctor went over the MRI results with me and according to him the inner sesamoid shows up abnormally. He said that it appears the inner sesamoid is now a fluid-filled cyst. He said he can also see where the head of the metatarsal (ridge) seems to be worn down. Dr Blake's comment: I have a patient right now with the same findings who is doing well. When you have changes in the sesamoid and first metatarsal, common in this type of injury, it takes time to get well since the injury crosses the joint. My patient SS is back running now with the same injury with no surgery. There is hope. He suspects that the initial fall tore the cartilage on the underside between the sesamoid and the metatarsal head. Over time, use wore down the head of the bone and the sesamoid eventually turned into a cyst. He also stated that this type of situation is fairly common in ankles but not so much in this area of the foot. Based on the current state of the sesamoid and the head of the metatarsal, he suspects the cartilage is indeed torn--but it is the underside of the head of the metatarsal, not the top which was the only part originally explored. Dr Blake's comment: This doctor is thinking real well. If you can go to the removable boot with bone stimulator for the next 3 months, you may be able to salvage the sesamoid. You could remove the sesamoid, but I would like to see the MRI first. If it was my foot, I would go into a removable boot, create a pain free environment, for the next 3 months, then spend 3 months gradually weaning out of the boot with good orthotics keeping the pain level at 0-2 day to day. During this time, you are using a bone stimulator. I have one I can lend your doctor if the Armed Forces can not afford. I can mail it anywhere that you want and the doctor in charge can talk to the rep to see how to make it work. This doctor had me try oral steroids which also seemed to help, but again the pain and swelling returned within a couple weeks' use. After all this, my doctor has said that the only option left is to go in and remove the sesamoid. He said he'll make a vertical cut into the tendon, remove the bone and stitch the tendon closed (which he said may not even be necessary if the cut is small enough). He will also debride the torn cartilage and drill out the end of the bone to stimulate growth of scar tissue to cushion the area. Dr Blake's comment: If you remove the sesamoid, not sure if you need to do anything with the metatarsal which will have no pressure on it. I have done a LOT of research on this sort of injury and procedure and still have some concerns about it. 1) Does this diagnosis sound correct? Yes. 2) If the sesamoid is not broken but has turned into a cyst, is removing it the best option? Is there any way it would heal without surgery? Yes, the cyst is just a stage of healing in my mind. You need a bone stimulator which will affect the sesamoid and first metatarsal at the same time. You need to keep the pain level to 0-2 for 6 months and then repeat the MRI to check on amount of healing. 3) What sort of post-op prognosis should I expect if he takes the steps listed? Should I be able to return to normal activity? I am okay with knowing I may never be able to run regularly, as my main goal now is to simply be able to walk without pain. I am in my mid-30s and cannot imagine living the rest of my life with this injury. Since you are so young, I am 58 and very active, give yourself the next 6 months with the above RX. If the new MRI shows improvement, you may have to go another 6 months. But, start at 6 months. If after 6 months, you have little or no change in the MRI, or you are getting worse, have the sesamoid removed. 4) Are there any other questions/issues I should bring up to my doctor? We discussed everything at length but I would like another opinion before I go under the knife. As of now my surgery should be sometime in October 2012. Dr Blake's comment: You can have surgery to remove the sesamoid, but the joint will have to be protected forever. People do participate at a high level of activity after sesamoid removal. Even though you have had this for a while, my first choice is still conservative as suggested above. To make conservative work you must have a bone stimulator for up to 9 months, you must be able to protect the joint with orthotics for the next 2 years, you must be able to use the removable boot for the 3-6 months as suggested above, you must learn how to spica tape and use dancer's pads, and have your diet healthy with calcium and Vit D. Sometimes, this just can not work, and they have to take plan B, and remove the sesamoid. Thanks for your time and making yourself available! Mary, I hope my discussion above helps. Send me the MRI and other tests if you want. Email me for mailing instructions. No charge for this service. I hope this has helped you.